Professor Murray’s career has focused on improving health for everyone worldwide by improving health evidence. 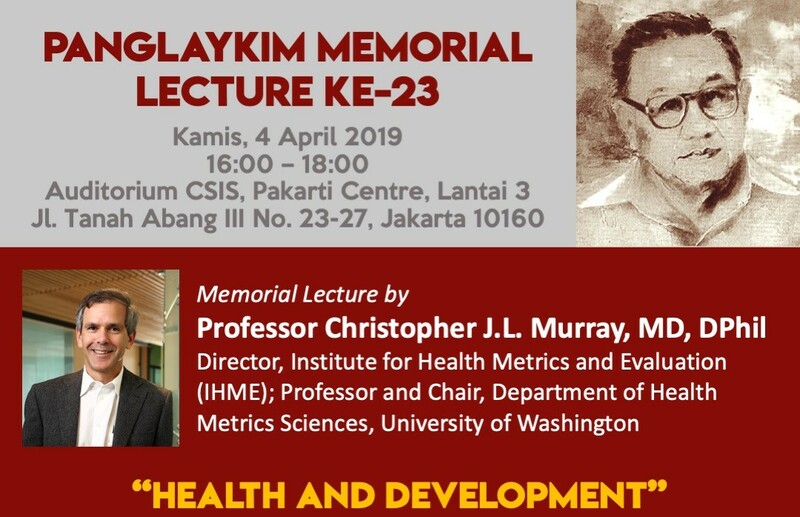 A physician and health economist, his work has led to the development of a range of new methods and empirical studies to strengthen health measurement, analyze the performance of public health and medical care systems, and assess the cost-effectiveness of health technologies. IHME provides rigorous and comparable measurement of the world’s most important health problems and evaluates the strategies used to address them. Before founding IHME, Murray served as Executive Director, Evidence and Information for Policy Cluster at the World Health Organization, Director, Harvard Initiative for Global Health and Harvard Center for Population and Development Studies, and Richard Saltonstall Professor of Public Policy at the Harvard School of Public Health. Dr. Murray is an elected member of the National Academy of Medicine (NAM) and 2018 co-recipient of the John Dirks Canada Gairdner Global Health Award. 'If you can't measure it, you can't improve it' is a well-known saying from Lord Kelvin. In this context, the measurement of health status has been a major challenge in attempts to improve health outcomes at both the national and global levels. Until relatively recently, health informatics has focused very much on life span, death and disease prevalence as key end points-rather crude indicators of minimal value to policy- and decision-makers. Enter the Global Burden of Disease (GBD) project which aims to improve the situation by developing a combined and more meaningful measure of impairment, illness and death, and to measure the 'burden' of disease and the years of life lost to disability, not just the ages at which people die. The GBD aims to quantify the comparative magnitude of health loss from all major diseases, injuries and risk factors, for all ages, sexes and geographies and over time. The development of the concept of DALYs (Disability Adjusted Life Years) has resulted in a revolution in health informatics which arguably has been of immeasurable value to policy makers in developing national priorities, policies and strategies in the face of competing priorities and limited resources. A strongly evidence- and data-based approach to allocation of national budgets can clearly benefit ministries of health in many developing countries. Given the central role of a healthy population and workforce in economic development, the value of meaningful health data goes beyond the health sector as clearly articulated in the Sustainable Development Goals (SDGs) where health-related indicators are spread over 11 out of the 17 goals.